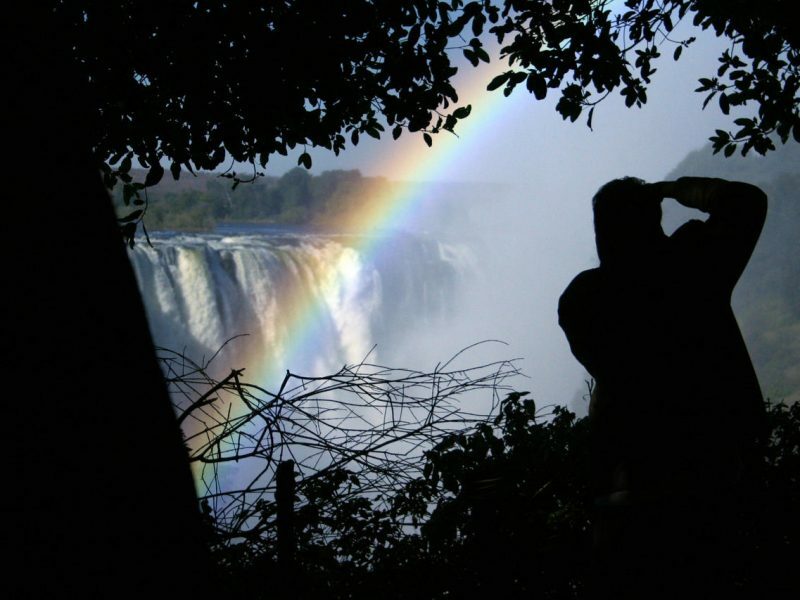 One cannot talk about the Zimbabwean experience without starting at the Victoria Falls or Mosi Oa Tunya (The Smoke that Thunders) – one of nature’s seven wonders of the world. Besides viewing the falls there are numerous activities and adventures in the area to keep one entertained and busy. 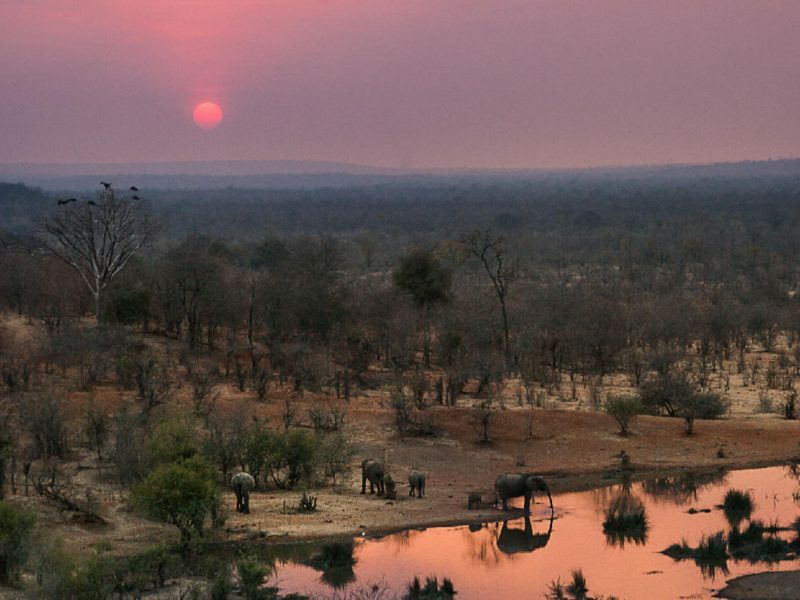 Hwange National Park, 14,500 kilometers squared, is Zimbabwe’s crown jewel, and by default, has become is national treasure. 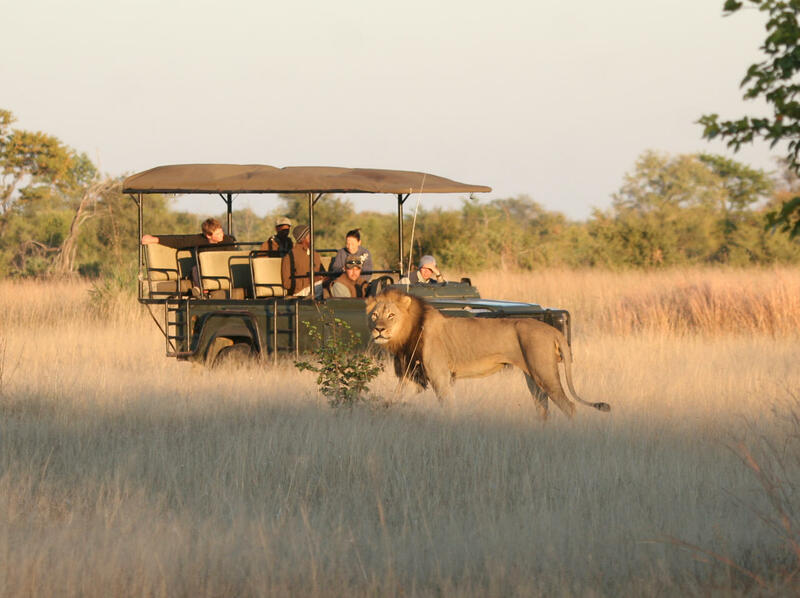 It is the largest game reserve in Zimbabwe with the greatest wildlife diversity of any reserve in Southern Africa. There are numerous landscapes in the reserve to explore and experience, while the guiding offered within the park is second to none. Many of these guides go to every measure possible to provide visitors with an experience far superior to any other. This is largely as a result of the extremely long and arduous process these individuals have to undertake in order to enable them to operate in the country. 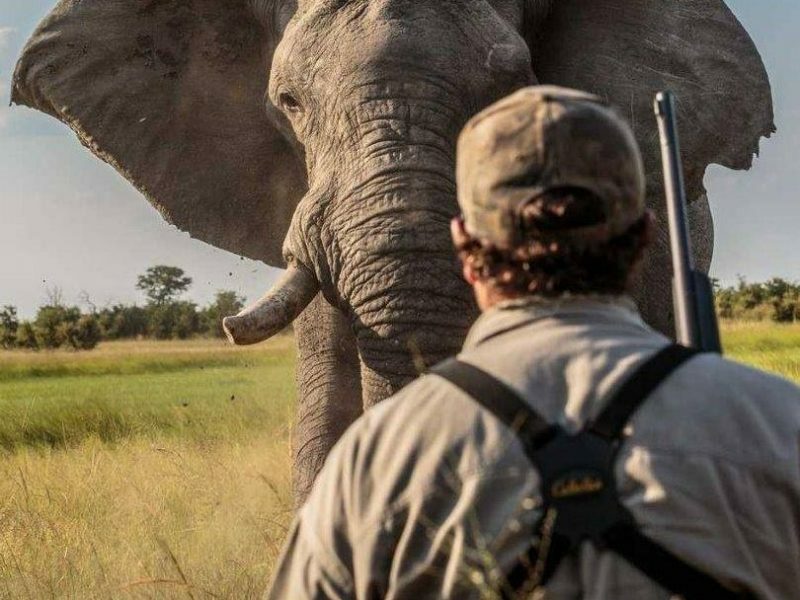 Every base, and more, is covered and these experts in their field have the ability to put you in the optimum position to view and photograph wildlife, on foot or from the vehicle. The lodges we have chosen are unique in that they offer comfortable accommodation, good food, different landscapes and incredible guides! We realise that our clients want to spend as little time as possible transferring between lodges and therefore both camps are relatively close to each other, however offer completely different experiences. David Livingstone first encountered the falls on November 17th 1855 describing it as “the most magnificient sight I have seen in Africa” and named them after Queen Victoria. Twice the size of the Niagra falls, it tumbles down a sheer precipice of 355 feet high at a rate of 33000 cubic feet per second and can be heard “roaring” from a fair distance away. It is a sight like few others and the sheer power and ferocity of the falls is simply breath-taking. Guests will fly into Victoria Falls International Airport where they will be met by one of our representatives who will transfer them to Elephant Camp. We would recommend spending the rest of the day at leisure, acclimatising to your new surroundings before heading out for sundowners at “The Gorge”, followed by dinner at the Camp. 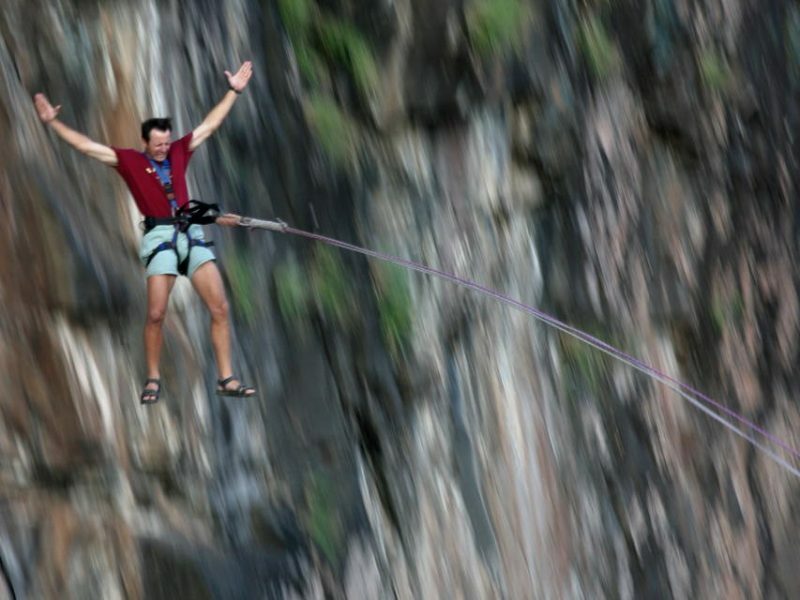 On your first full day in Zimbabwe why not try some of the great activities that the town has to offer. 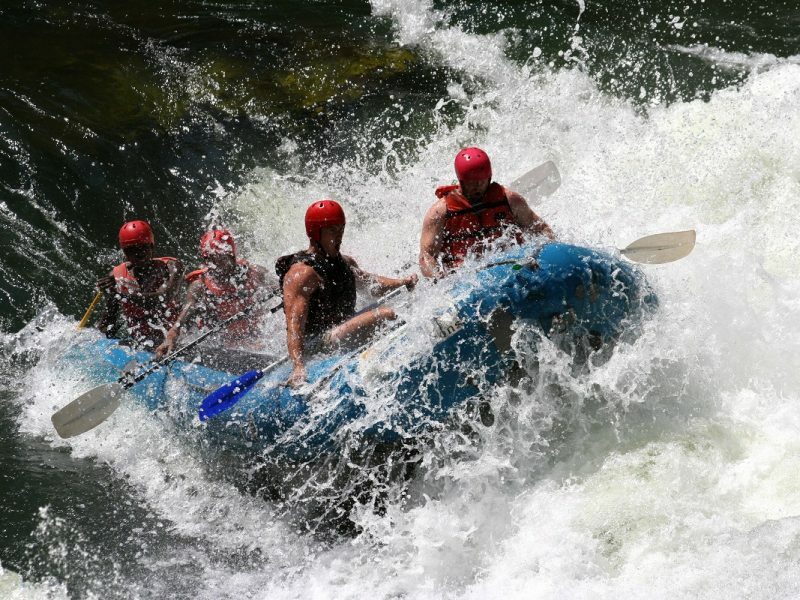 For the adventure seekers there is white river rafting, bungy jumping and gorge swinging. 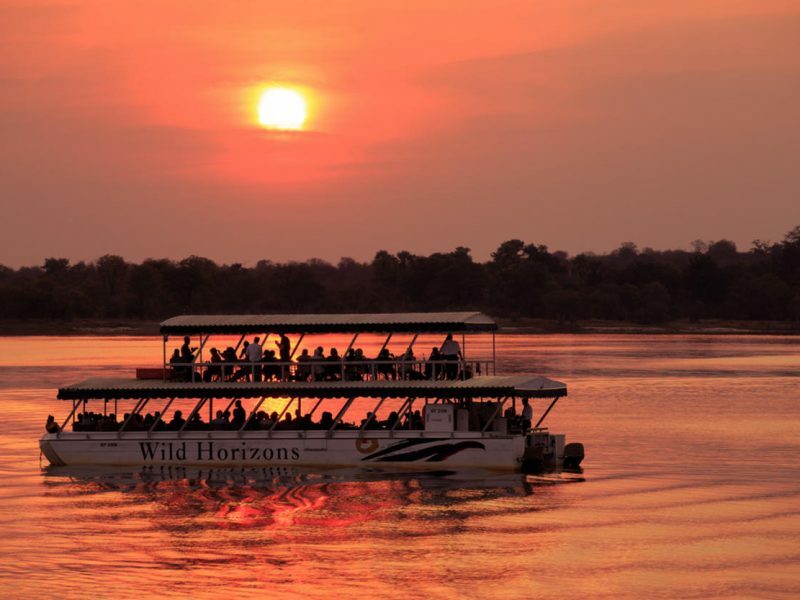 The helicopter flights over the Falls offers an exhilarating birds eye view of the area while the sunset boat cruise, with G & T in hand, will provide you with your first opportunity to view wildlife from a different perspective, cruising along the open water. 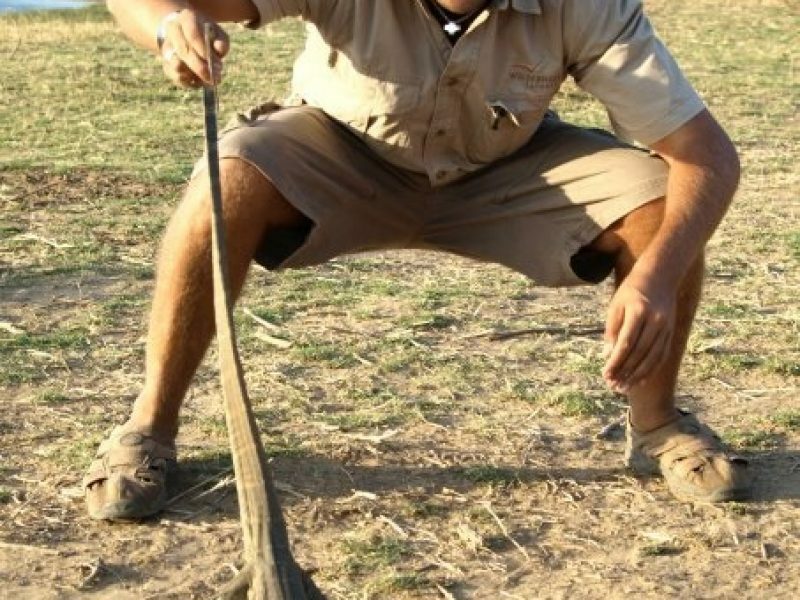 Perhaps finish your day off at “The Boma” a traditional African restaurant where certificates are handed out for Mopnaie Worm digesting – not for the faint hearted! Your true safari experience begins on day 3. Start with an early morning transfer to Hwange National Park where you will be met by your guide for the next few days. 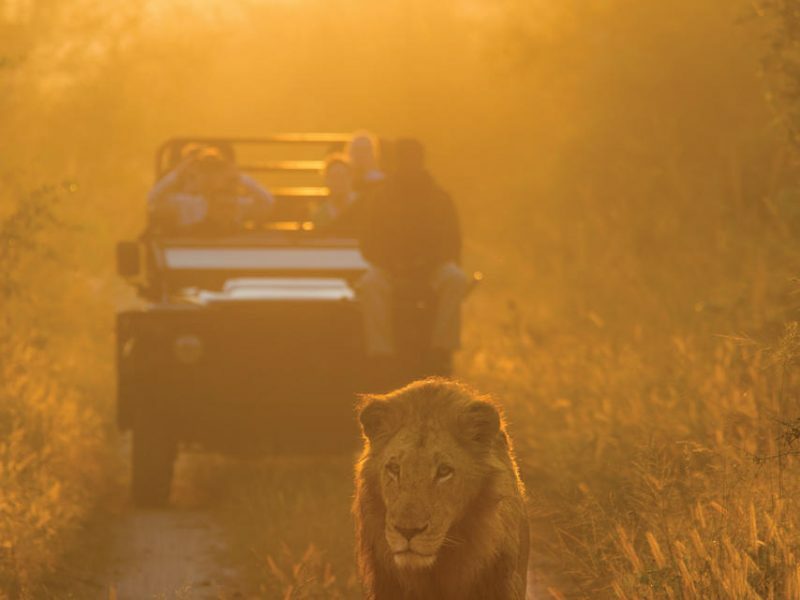 On your way to Camp Hwange keep your eyes peeled for any big cats that may be lurking around any bend in the road. Upon arrival in camp you will be welcomed with cold cocktails, open arms, and a delightful brunch. Settle into your new home for the next three nights. Afternoon activities include a game drive/walk which is followed by dinner under the light of a million stars. Day activities around Camp Hwange, eat and relax. Start the morning with an early morning game drive and transfer to your new camp, Nehimba Lodge, for brunch. Get to meet your new guide and hosts before settling down for an afternoon relax. The lodge is situated literally right on top of one of the only waterholes in the area so watch as numerous animals, including elephants, come down to drink. Afternoon game drive/walk followed by dinner at camp surrounded by numerous elephant and other game. Day activities around Nehimba Lodge, eat and relax. Say goodbye to your wonderful hosts while planning when you will be back again. Transfer to Victoria Falls International Airport for connecting flight out of Zimbabwe.